Please note that wine and beer glasses are not supplied due to excessive losses and breakages. We partner with Pierreponts if you need a caterer for a small party. Another local Caterer is Sarah Moody of Sarah Moody Cooks. Six tables and 30 chairs. 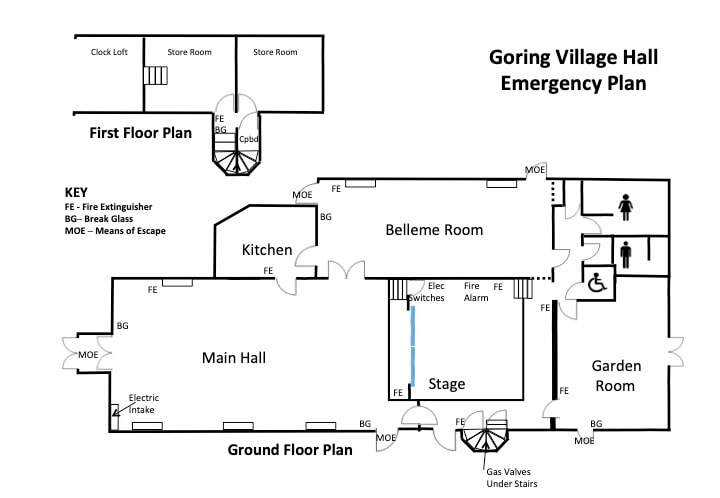 Note: For weddings it is essential to book both Main Hall and Bellême Room plus the Kitchen as this gives better access for guests, space for cloaks and a dedicated bar. We can also supply cream drapes for the ceiling of the main hall free of charge. The halls are, within the constraints of the older buildings, as complaint as possible. There are a very limited number of spaces directly outside the Village Hall within the white line painted on the tarmac. 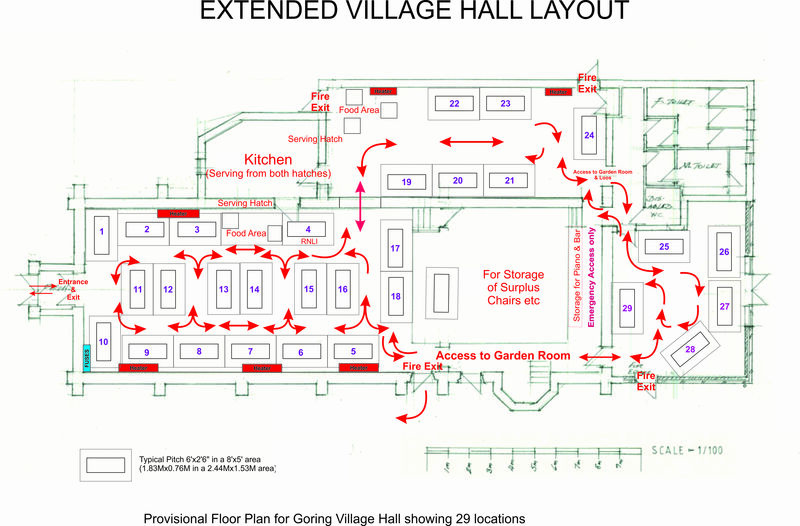 Hall users are advised to park in another nearby road or in the village car park. Parking between the white line and the kerb, bounded by double yellow lines, might result in a fine. Parking on the grass verge alongside the Rectory Garden is not permitted. If you are thinking of hiring one or all of the Halls, and are unfamiliar with all the facilities available, we recommend that you view them with a member of the Committee so that you can make an informed decision. Please use the Contact Us form and a member of the Committee will contact you to make arrangements.